The team from Slack.fr had a deep weekend apparently ! 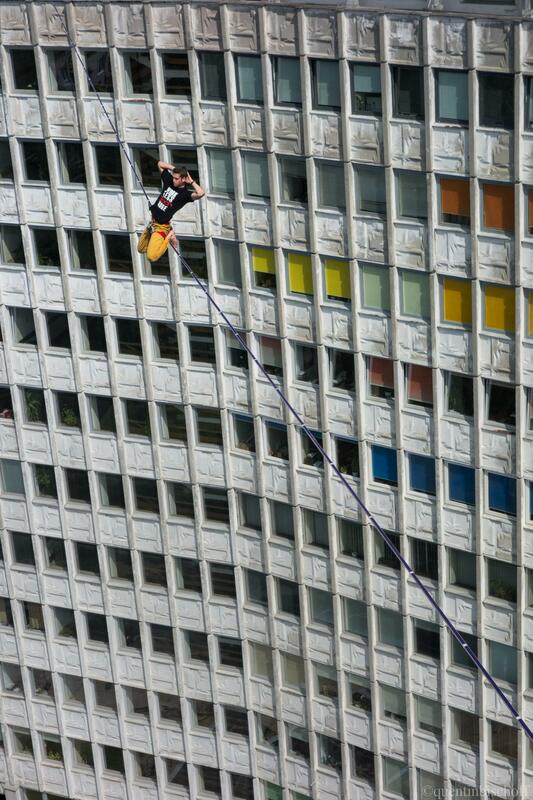 A new world record, 426 polyester longline, broken by 3 slackliners : Théo Sanson, Antony Newton and Nathan Paulin. Impressive ! 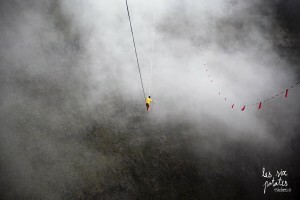 The dyneema record will be for next time, as the webbing broke, oops ! No record for the girls but they fight hard, it will be next time for sure ! The Nathan Paulin interview ! If you meet him, go talk to him since he is a really cool person. What’s next for Nathan ? 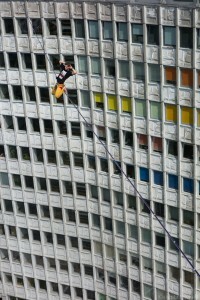 Well, it depends how many meters of webbing he will get from his sponsor since his limits are not his own human abilities but the length of the webbing he gets to slack. I’m from and I live in le Reposoir a small mountain village in Haute Savoie, France. I love the landscape. I need to leave in the mountains. 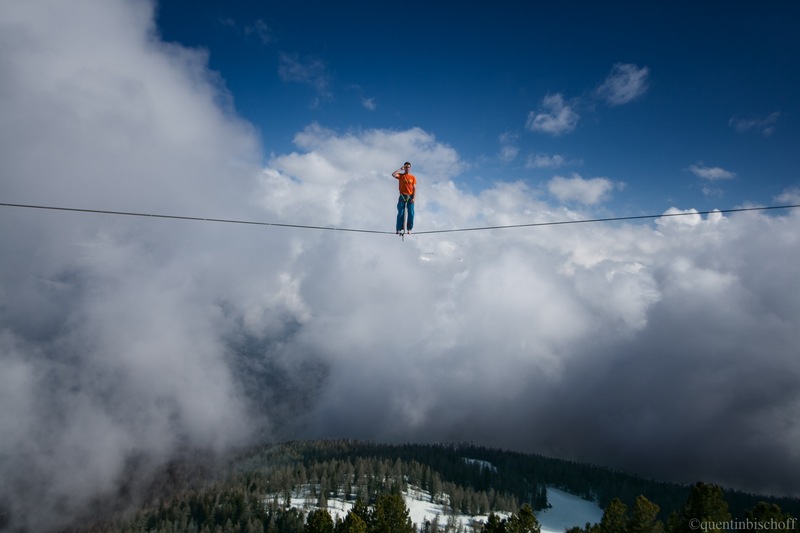 I enjoy slacklife by traveling and meeting people around the slackline. I slack since 3 years and a half. I discovered it with a friend and I quickly became addicted. How did you enter into slack.fr ? When they created the Slack Team they asked me to be part of it. 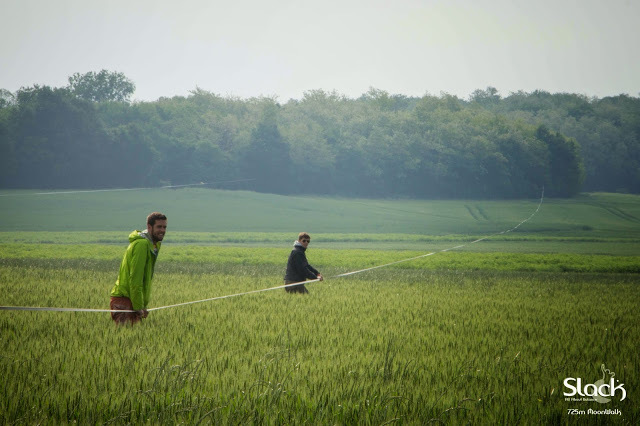 I know the slack.fr crew since the beginning of my slacklife with the slack tour in 2011. Now we are good friends. 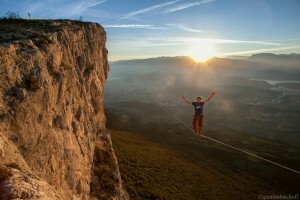 The longest line you ever walked: highline and longline ? 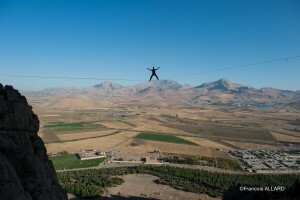 170 meters highline, I hope more soon! 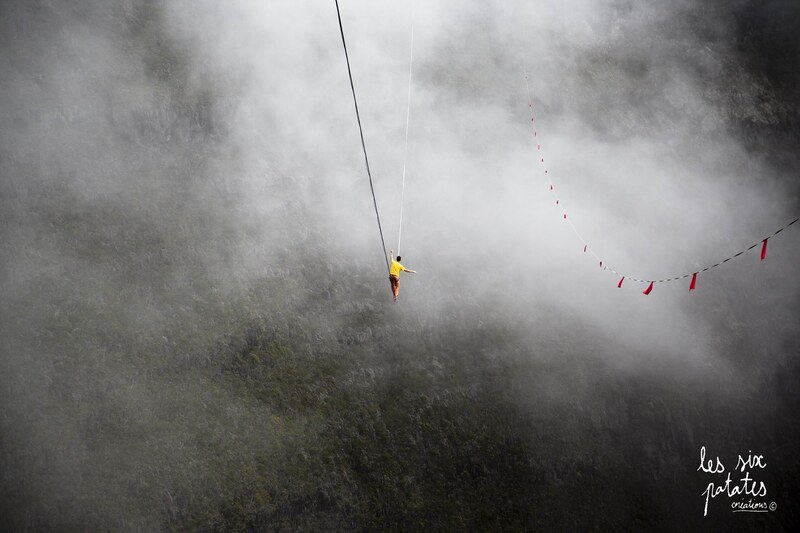 601 meters longline, the current world record. Chilling after a wedding party… But this Sunday I will play on a biiiig highline ! My addiction to the mayonnaise. I’m not born on a slackline. Begin to walk a line and perceive that I have not tied the leash . 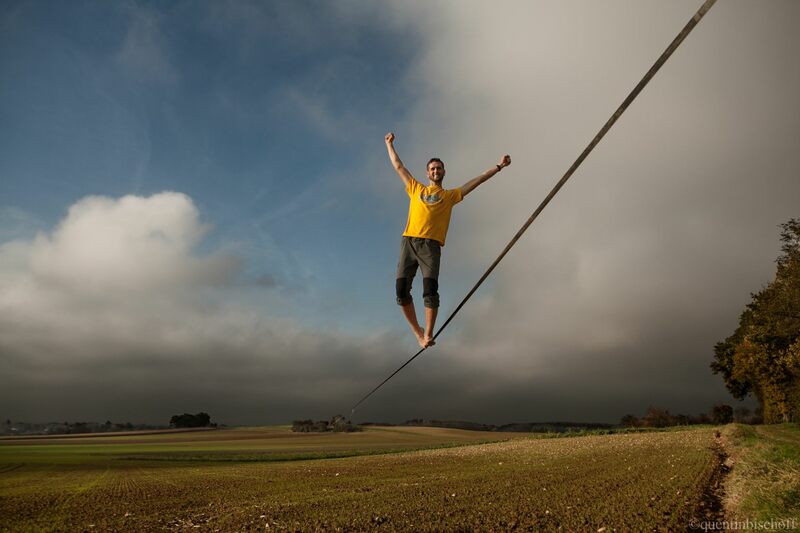 It’s too sunny to not go slacklining. I have no preference, I like to discover. My van and soon the new slack.fr webbing with rounded edges ! 2014 was a good travel year for me, the best. I visited Czech Republic, Poland, Iran and Turkey. My best slackline memories where the highline battle in Lublin, Poland and the full exposure on a 100 m line in Iran (photo), Awesome…. Long life to the sag!